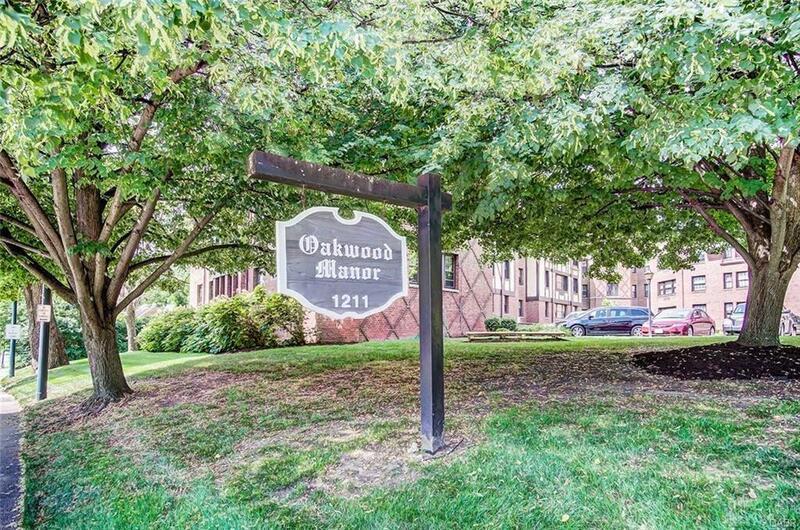 Easy living in this tudor style condo in the heart of historic Oakwood. 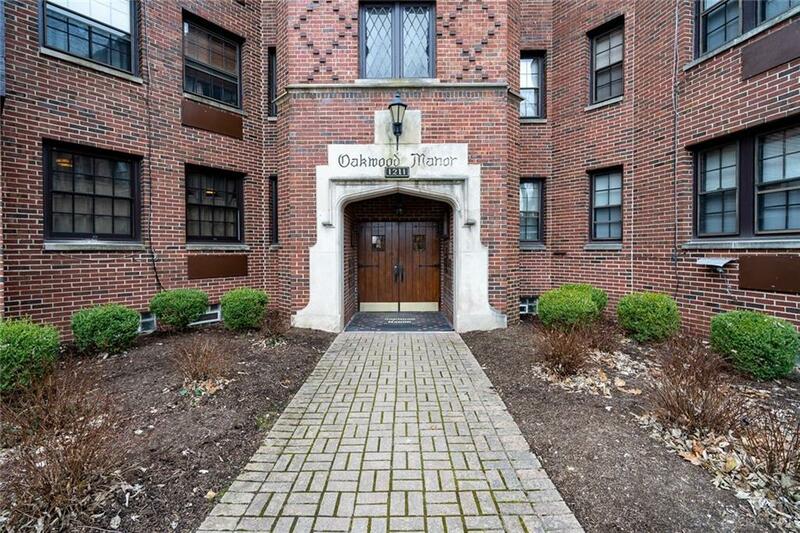 Enjoy natural light through the 3 sides of windows in the living room - a rarity in this building. 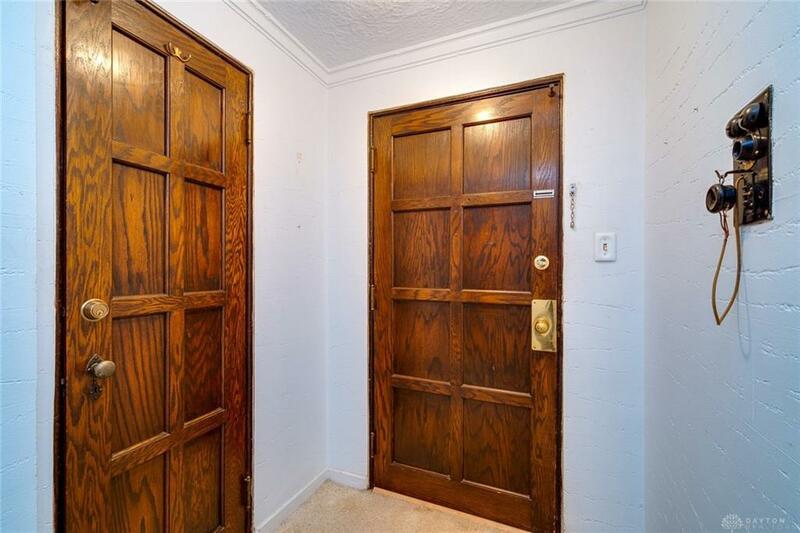 Beautiful wood doors and lots of character in Oakwood Manor condos. The walls are 13" thick plaster providing great sound insulation from neighbors. Crown molding throughout. This unit has lots of storage with a Huge additional walk in closet and 3 other nice sized closets. The county has the size listed as 888 sq. ft, but unit is believed to be 910 sq. ft. according to map which has been added to the document in this listing. This unit is located just inside the building, making it very convenient. 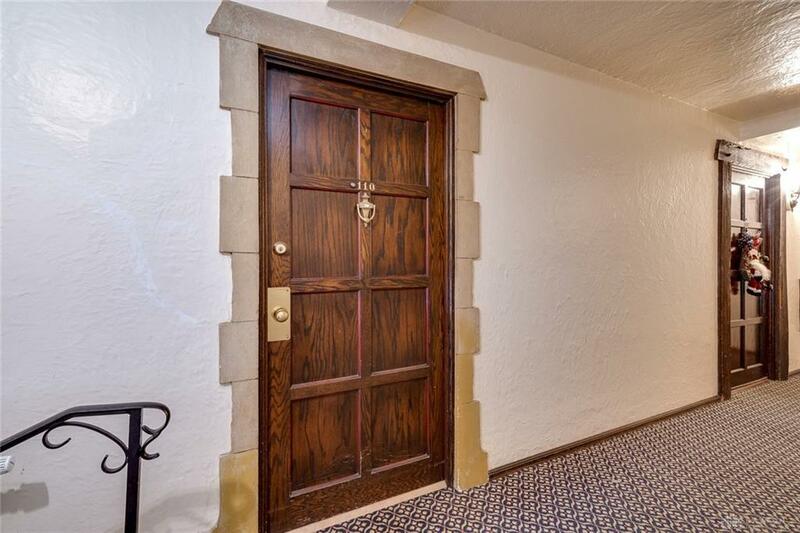 Bright, clean laundry room is in building basement and is accessed from elevator or stairs. Cats are welcome but not dogs. Inside parking and 4th floor storage may be available. Call Towne Properties for more details. Home has been WELL CARED FOR however it is being sold AS IS for seller convenience. Listing provided courtesy of Jillynne Fields of Keller Williams Advantage Real. © 2019 Dayton Area Board of REALTORS® MLS. Information Deemed Reliable But Not Guaranteed.